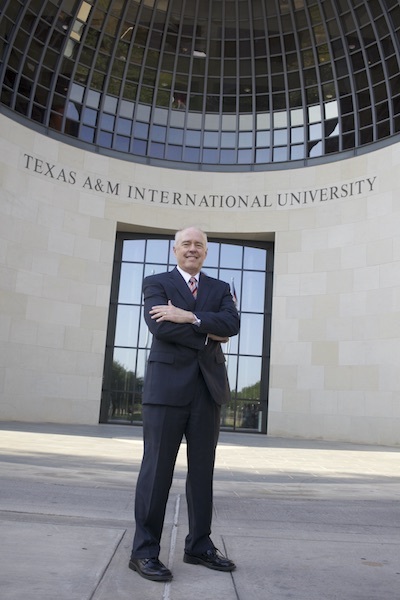 With the New Year ahead, Texas A&M International University (TAMIU) is positioning itself to deliver its service mission with academic programs, expanded facilities, and outreach. “Our State and private philanthropy have much blessed us with a magnificent institution of higher learning, well ranked and well attended. We now work diligently to preserve and expand these gifts in ever more creative ways to place the American dream of higher education in reach of all those committed to pursuing it,” said TAMIU president Dr. Ray Keck. He noted that for 2016, TAMIU’s growth would be most immediately measured on academic, facility and outreach fronts. On the academic front, the University is expanding its online offerings while launching a series of interdisciplinary degree options that enable students to tailor undergraduate degree programs in innovative combinations. The University is rapidly developing additional areas based on undergraduate students’ needs and preferences, focusing on creating hybrid graduate degrees that mine strengths and opportunities in healthcare, business, public administration and compliance areas. New undergraduate programs targeted for development, subject to approval by the BOR or Texas Higher Education Coordinating Board (THECB) include: art, biochemistry, mechanical engineering, early learning, public health, multidisciplinary engineering with an emphasis on petroleum engineering and computer science; performance, and public administration. Graduate programs also subject to THECB approval include: a doctorate in Criminal Justice, and masters degrees in communication disorders, health informatics, kinesiology, music, nursing and systems engineering. The University also hopes to expand its commitment to Study Aboard options for students. With over 30 distinct programs available on virtually every continent, TAMIU’s newest Study Abroad opportunity this December took students to India. This year, construction will loom large and substantial for the 300-acre campus. A new Academic Building housing the University’s growing program offerings in science and engineering will begin construction planning. Groundbreaking is scheduled for Fall 2017. Funded by the Texas Legislature and budgeted at approximately $62 million, the building will include auditoriums, classrooms, labs and offices. Also underway are a $3.9 million extension of the University’s popular Kinesiology, Wellness and Recreation Center. The expansion will include expanded cardio areas, weight rooms and activity and fitness rooms. University Parking will expand with an additional 180 spaces, located near the Senator Judith Zaffirini Student Success Center on the campus’ south side. Plans for the Athletics Sports Complex, a collaboration with the City of Laredo, approved by Laredo voters, are being finalized. Through its research enterprises and long-term community outreach efforts, the University continues to underscore its position as Laredo’s cultural and intellectual center. 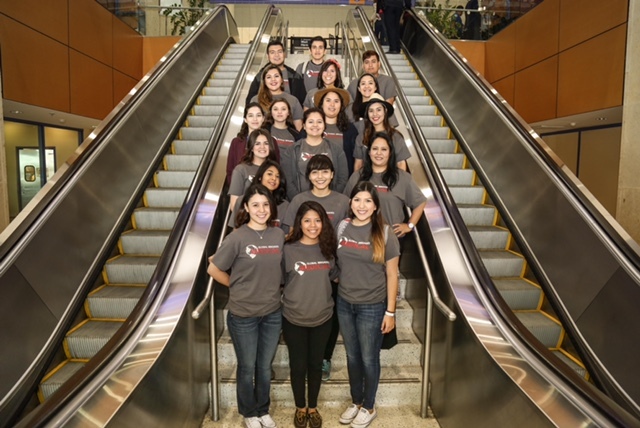 Building on existing partnerships with the Laredo Phil, Laredo Philharmonic Chorale, the Laredo Theater Guild International and others, the University augments ongoing campus arts and cultural programming. Lecture series and special events on campus, such as Discover TAMIU, programmed March 19, 2016; provide ample opportunities to be a part of the campus’ life and dynamic. The University’s popular Dustdevil Athletics Program also presents a powerful bonding opportunity for fans of all ages to be part of 11 NCAA Division II Sports teams. This Spring, University College will expand its service learning freshman seminar course offerings to include sustainability. The curriculum includes establishment of a community garden on campus. Students will partner with the Texas A&M AgriLife Extension Service, the City of Laredo and Keep Laredo Beautiful. As always, the University attracts some of our world’s most gifted speakers and a broad spectrum of speakers will be providing public lectures in 2016. Among those scheduled are Jeff Speck, the author of “Walkable City: How Downtown Can Save America, One Step at a Time” (Jan. 27) and Jason Silverman, the author of “Lincoln and the Immigrant” (2015) and Ellison Capers Palmer, Jr. Professor of History at Winthrop University (March 16). On April 13, Alfredo Corchado, Mexico Bureau Chief for the Dallas Morning News and author of “Midnight in Mexico: A Reporter's Journey Through a Country's Descent into Darkness,” will lecture. Expanding Continuing Education programs will offer courses for all ages including a robust summer program for children and teens. On campus walking paths and bicycling trails take advantage of TAMIU’s green spaces and are open to all. Another project will link TAMIU with its partner, KLRN, for the collaborative production of a special documentary focused on Laredo’s ongoing importance as a global cultural catalyst. “We continue to imagine the American dream, our shared view of what this country offers humankind. Education opens the path to that dream, and TAMIU is keenly positioned to show the way and lead us through the door to that dream, to that future,” Dr. Keck concluded. The Spring Semester 2016 at TAMIU begins Wednesday, January 20, 2016. Online registration is underway at tamiu.edu. University offices close for a State-authorized holiday at noon on Wednesday, Dec. 23 and re-open Monday, Jan. 4 at 8 a.m.
A free smartphone and tablet application is available for download at tamiu.edu.